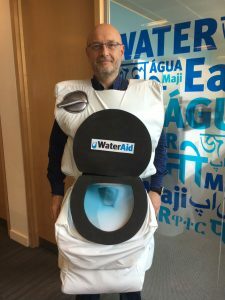 Crowborough resident Marcus Missen, 53, is leaving the heatwave behind this week so he can conquer some of the world’s most remote, untamed land in Greenland’s Arctic Circle to raise money for WaterAid – and he’s prepared to go the extra mile by doing it all dressed up as a toilet! WaterAid works closely with its partners in local communities to deliver sustainable water supply, sanitation and hygiene solutions to the poor in less developed countries. Marcus will take on the 100km challenge, covering multiple terrains such as tundra and glacier, and camping in cold conditions without running water, and surviving on basic meals. With 80 per cent of Greenland’s landmass covered in ice, and as the least densely populated territory in the world with a population of less than 60,000, the expedition is described as ‘not for the faint-hearted’. As if the trek isn’t a big enough challenge, Marcus said he will risk humiliation on his commute to work from Crowborough to Vauxhall by dressing up as a toilet in a bid to encourage more donations. If he raises his target of £10,000, he will also wear the toilet costume throughout the trek. Marcus Missen, who is Director of Communications and Fundraising at WaterAid, will be completing the trek with 100 employees from HSBC, which is collaborating with the charity on water programmes in six countries. His hiking boots are well worn in – earlier this year he and his son Theo fundraised for WaterAid by climbing Thorung La, a mountain pass with an elevation of 5,416 metres above sea level in central Nepal. I am excited to be given another opportunity to raise money for WaterAid. With 1 in 3 people on the planet with no decent toilet of their own, and 1 in 9 people without clean water close to home, it’s a no-brainer to me to take on the challenge. I also get to do the trek with an incredible group of people – 100 staff members from HSBC all united by the aim to help WaterAid’s lifesaving work. We will be taking on some tough terrains in challenging conditions, pushing our physical and mental limits, in order to get decent toilets, clean water, and safe hygiene practices to communities that need it. It costs just £15 to provide one person with clean water. With thousands raised so far, together we really will help transform lives in some of the world’s poorest communities. I’m prepared to go to extra lengths on this one as well – I’ll complete the entire trek in a toilet suit if I raise £10,000. I plan to wear it on my train journey home from Vauxhall, and I’ll wear it back into work again if I reach £1,000. WaterAid is a partner in the 8-year HSBC Water Programme, which aims to tackle water challenges globally, including climate change and water security. The trek runs from 2nd August – 10th August. 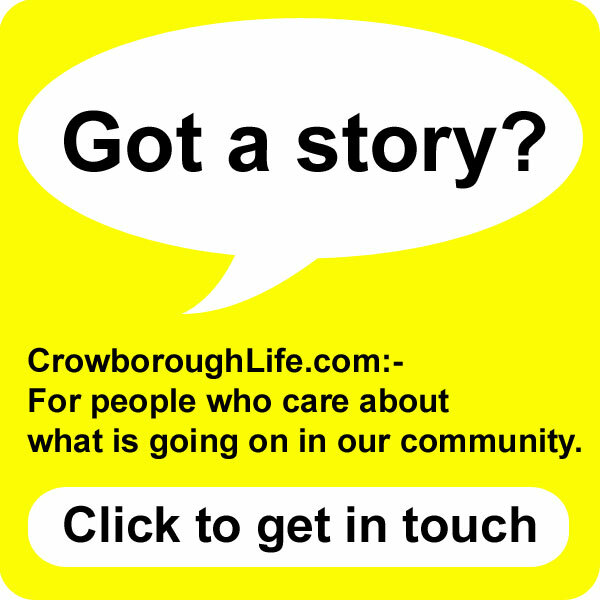 You can support Marcus via his fundraising page: www.justgiving.com.